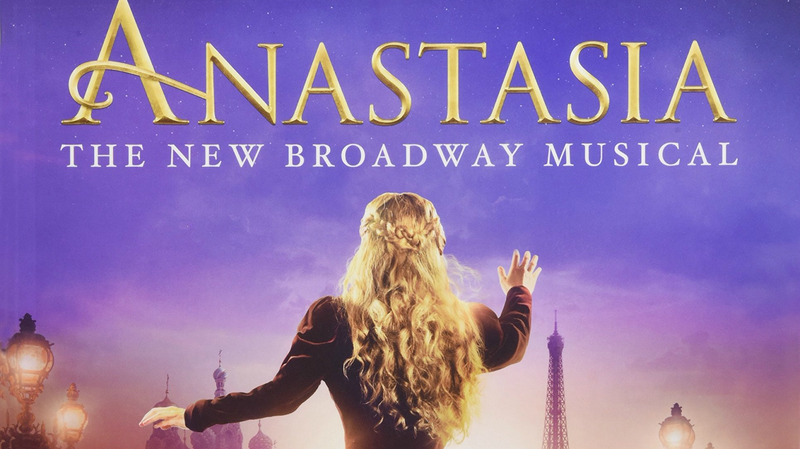 Getting the chance to see “Anastasia” on Broadway ranks as one of my life’s greatest highlights. As an avid fan of the 1998 animated movie, initially learning there would be a Broadway adaptation evoked tremendous excitement. Accordingly, hopes were high to see the majesty of the animated classic brought to life in a new way. The stage musical and its movie counterpart share the best parts of themselves in common. “Journey to the Past,” “Paris Holds the Key (To Your Heart),” and “Once Upon a December” among the songs they both include on their soundtrack. While new songs have been added and the story altered, the heartfelt emotion from its source material pulses throughout. Like the movie, “Anastasia” tells the historically fictionalized tale of Anya, an orphan living in Soviet Russia following the communist revolution. It picks up shortly before the royal family is murdered and goes from there, plunging the audience into the aftermath. Despite the impossibility, rumors persist throughout Russia that the Tsar's youngest daughter, Anastasia, survived the assassination. Two con artists, Dmitri and Vladimir, anxious to flee the country, seize on the notion. They recruit Anya (Christy Altomare) as an imposter, training her so she can pretend she is the missing princess. Does she really have to pretend though? Fans of the movie know the unhistorical answer. “Anastasia” features a magnificent stage production and Terrence McNally's book, does a keen job of distancing itself from being a scene-by-scene re-enactment of the animated movie. There are several twists on the original plot, which ushers in a pivotal new villain. Replacing Rasputin is Gleb, a Bolshevik agent with strict orders to kill Anya. His conflict with that order adds a new layer to the ensuing drama. The musical features a raw and adult take on its material. Hence, the intense opening sequence casts a dark shadow. The story's setup is not dealt with the same way as the movie, which itself was already dark considering the subject matter. While the movie laid the groundwork, the musical enhances certain aspects of its movie-inspired plot. All of which makes its stage counterpart even more finessed. The same goes for the music, as the new songs by Lynn Ahrens and Stephen Flaherty serve as fantastic compliments to the original score. “In My Dreams” and “In a Crowd of Thousands” are among the soundtrack's standouts. The ensemble that performed these numbers at the show I saw was nothing shy of stellar. Christy Altomare’s stirring performance as Anya is as heartfelt as they come. Her vocal power and acting abilities; present in equal measure. Altomare’s conviction in the role heralds many moving moments as Anya’s journey registers as an electrifying experience to behold. “Anastasia" is in many ways the manifestation of this fan’s dream come true. There is a majesty in every angle of its production. The costumes are glorious, and the set design is brilliant. Seeing “Anastasia” is a journey those fortunate enough to take, will never forget. “Anastasia” finishes its Broadway run on March 31, 2019. For info on its tour, click here.